De Zalze Lodge is a four-star hotel set on De Zalze Wine Estate, just 3 km outside Stellenbosch in the majestic Cape Winelands. Situated adjacent to De Zalze Golf Course, the hotel is surrounded by green fairways and lush vineyards, and offers a leisurely lifestyle combining scenic golf, wine experiences, and outstanding dining at award-winning Terroir Restaurant (advance booking essential). Enjoy wine tastings on the estate, as well as biking trails and vineyard walks. 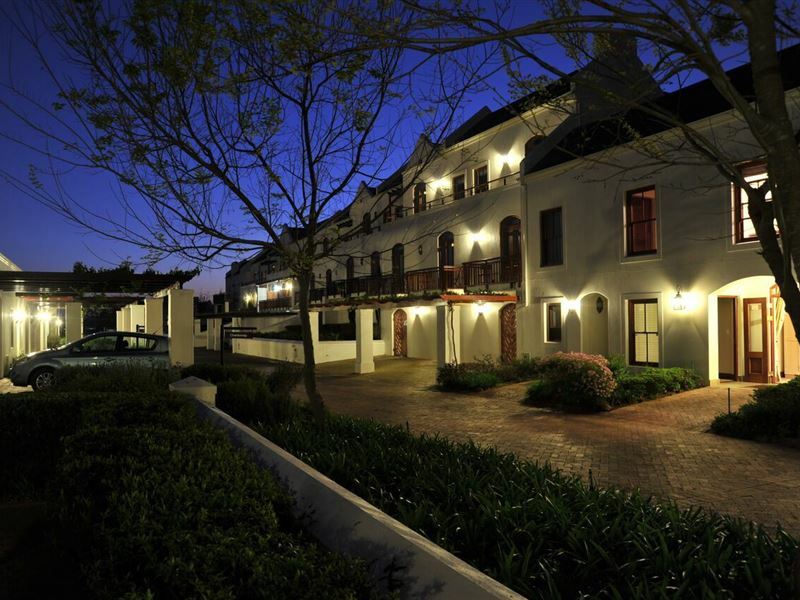 De Zalze has excellent facilities for conferences and special events in the winelands. There's currently no specials at De Zalze Lodge. The main conference venue at De Zalze Lodge is glass-fronted, looking out over the first fairway of the De Zalze Golf Course. An extensive balcony accommodates receptions and provides excellent views.